If you read my recent post on 7 Guilt-Free Ways + Reasons to Throw Out Your Kids Toys Now you probably started to get an inkling that I'm on an organizing kick around here! Yep, practically every room in my whole house is going through a purging/simplifying process. I'm far from becoming a minimalist, but a year has passed since we moved into Hartfield, and I'm better understanding how we use the rooms. 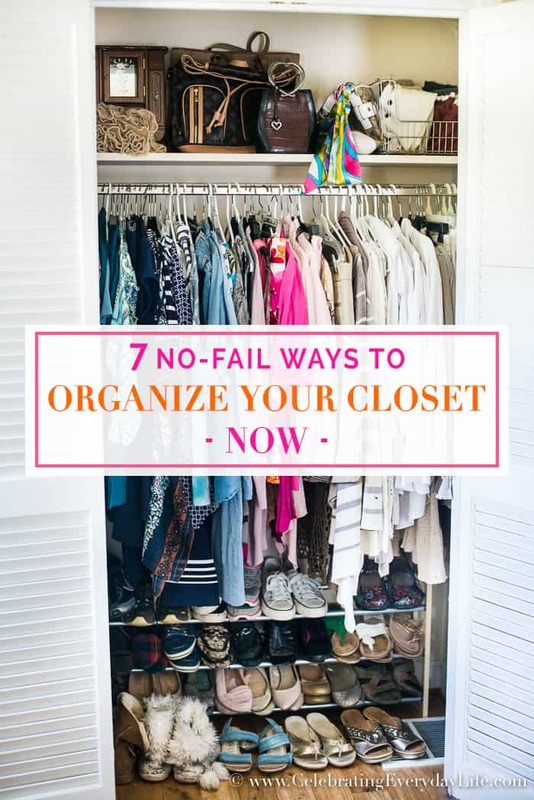 Today, I'm tackling my dreaded bedroom closet with 7 No-Fail Ways to Organize Your Closet Now. I have had a bad habit of hanging on to clothes that I *might* wear again. Do you do that too? The problem is it adds up! Plus, I recently started paying attention to what I wear regularly, and it's not nearly all that I have, so I realize it's time to purge. I have been a fan of Ines de la Fressange since I was a young teenage model in New York City in the 1980's. Back then she was the muse of Karl Lagerfeld, the head designer for Chanel. Recently I remembered reading an article about her saying that she preferred not to have a closet overflowing with clothes because it forced her to be more creative with her wardrobe. That is the attitude I want to adopt. Hooray! Less stress and more style, let the stylish de-stressing begin! I have two closets in my room, so I am lucky to be able to have my Spring/Summer clothes in one and Fall/Winter in the other. 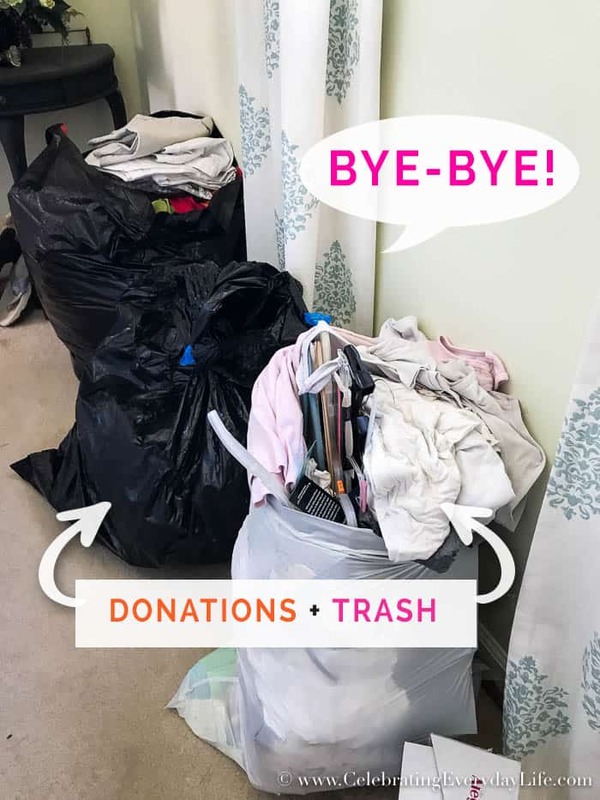 Large trash bags for items you will donate. Tub or Space Bag style storage bags for seasonal items you need to store. 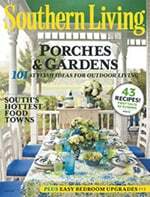 Tub or another bag for items that you want to keep but that need mending. What size is it? / Does it still fit me? I have held on to some items because I love them, but they don't fit me properly, so I need to send them on to someone else to enjoy. Have you done that too? If you don't feel good in the piece of clothing, then it needs to move on, plain and simple. This can be hard, but it is an important part of the purging process. Is this piece still in style? Some clothes I've held on to for so long the trends have changed, like wide leg jeans for example. These are not in style any longer, and even if they came back around, I would likely need a new pair/size anyway! Look carefully at the styles and send on things that you wouldn't wear today. Is it missing buttons, does it have a stain/rip/or another defect? Ask yourself if you want to repair this item or perhaps it's time to repurpose it. Old sweaters often make great pillow covers for example! If simple repairs are needed, put these in a bag or tub. 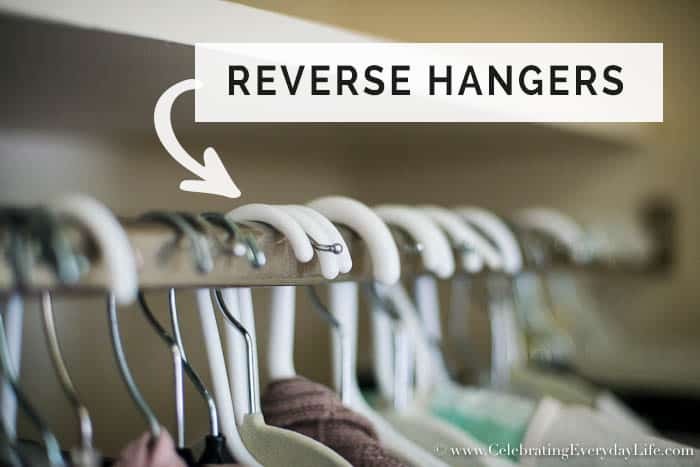 When you re-hang all of your clothes, hang them up with the hangers reversed on the bar, this is a great tip to see what clothes you actually wear over a period of time. 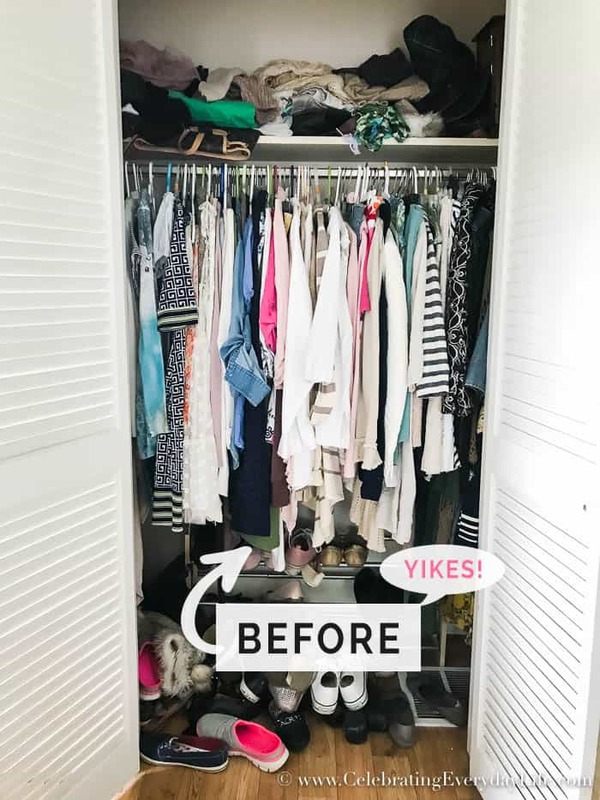 If in 6 months you have hangers which haven't been reversed, then you know these are clothes that need to be donated because they are simply cluttering your life. There are some items about which you can just be stuck on the fence. In your heart, you know you probably should donate it, but you're having trouble pulling the trigger. If you're not convinced by the reverse hanger method (#4) the next step is to put it in a donation bag that you will store for a few months. If during that time you have not had to go back into that bag then you know you can go ahead and donate it. Now that you've sorted what you're keeping and what you're not, it's time to think about how you are organizing what's left. There are many schools of thought out there, and I don't believe there's one right answer. 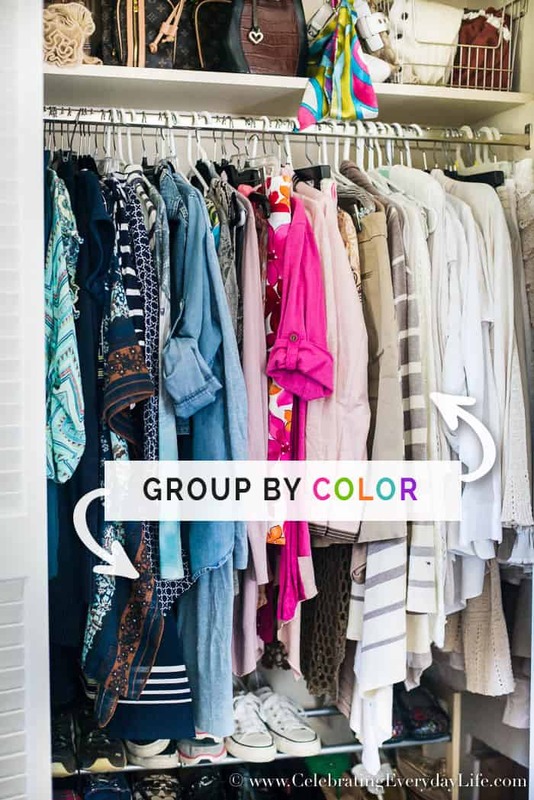 For me, I'm grouping (or clustering) my clothes by color, so it's easier to see what works together. This helps to make picking out outfits so much simpler because similar items are right there together. Now that you've done all this work you want to keep it looking good in the days and months to come. To do this, you may want to apply the one-in, one-out rule. When bringing something new in, you may need to give something else away to help maintain the balance. Phew! There we are. 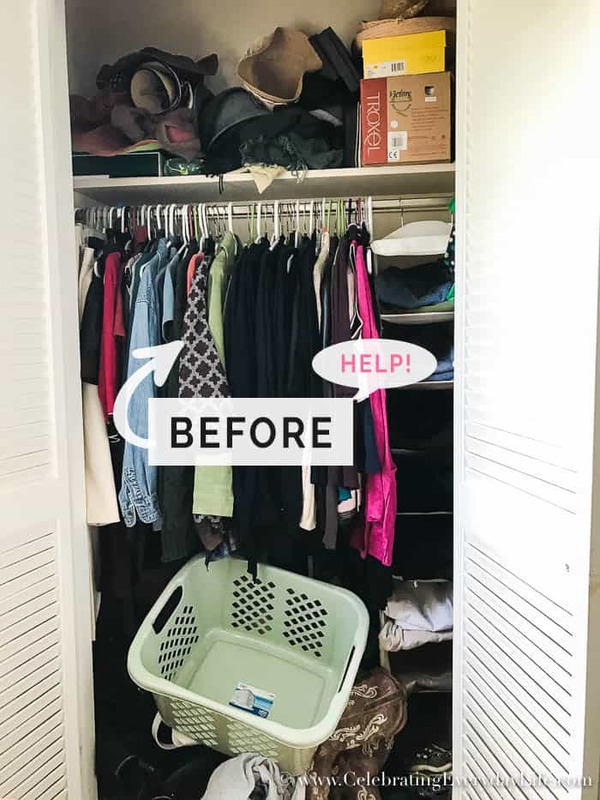 A closet nicely organized to help you look and feel good in the clothes you already own. Hurrah! I will still probably end up donating some more of what's left but, I feel so good about this start that I've made! 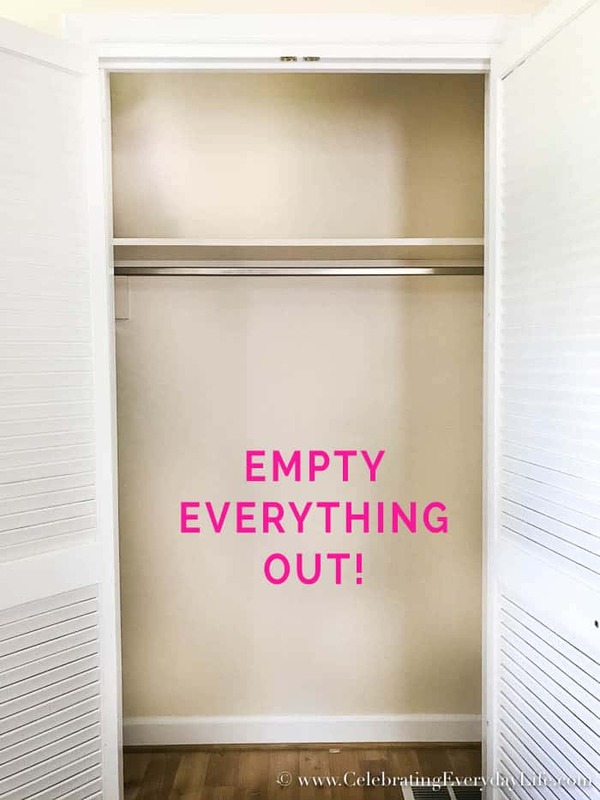 I hope you have picked up a few good tips to help you organize your closet. Join 7,000+ Fans! Get access to ALL of my SVG files + free printables to help you Organize and Celebrate your Everyday Life! Subscribe (free!) 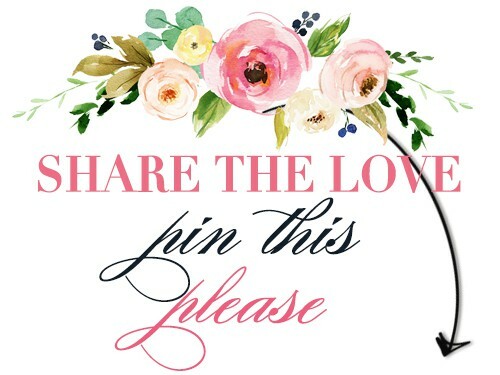 to get my newsletter with updates and tips PLUS get instant access to my entire resource library with all my SVG files, free worksheets, printable art, and more to help you Celebrate Everyday Life! Once subscribed, I will send you a newsletter with details about my new free files each week. Oh yes! I agree Jeanie, those felt hangers are the best!! I have a few but need to buy more. It’s on my list of things to do! I’m so glad you are enjoying added space benefits from them as well as the well-being it’s adding to your clothes. I know it’s worth it! Thanks so much for reading and sharing!! How timely this post is. My hubs and I share a big closet and have plenty of space, but that huge closet has become the resting place for a lot of “junque” that did not have a proper home. Now that we are repainting the closet and putting down new flooring. We are purging (yay) and refitting the rods, and shelves to fit our current wardrobe. I’m not putting back the “junque” that made our closet cluttered and collected dust. The closet is empty, old flooring removed, all caulked, and ready for painting tomorrow. Can’t wait for the clothes to go back in, clean, organized by color, ready to wear! Wow, Sharon! What an exciting project!! Good luck with your painting and organizing! I know you will feel so relieved when it’s all said and done. It’s amazing what can land in our closets. I’ll be sharing a hall closet clean-out soon and I’m shocked at what all I found in there – it’s just crazy! Thank you so much for sharing and best of luck with wrapping up your big project! Wow the after looks amazing! 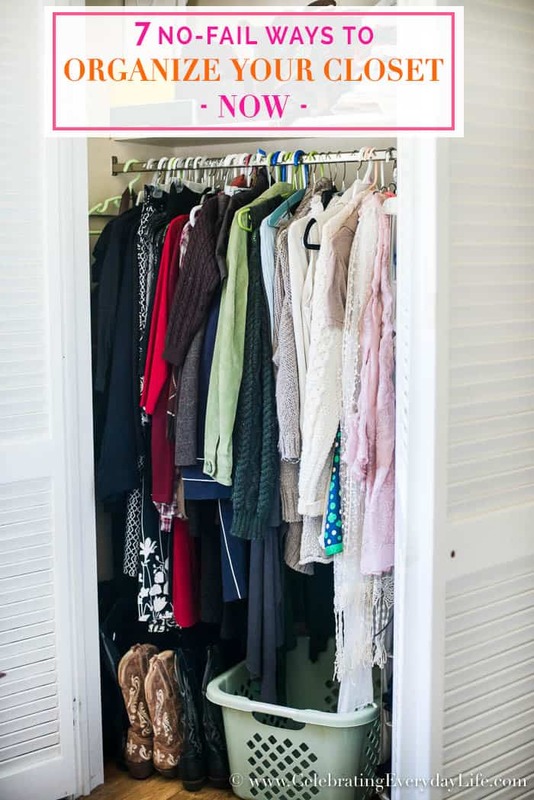 Great tips for keeping your closet organized. I’ll be featuring it tomorrow at Merry Monday. 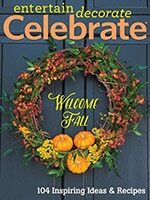 Hope to see you at the party! I like to organize my clothes by color too! But I also group by material; all the sweaters together, all the t’s and turtlenecks together, all the buttoned down shirts together, etc. Great tips!